This new report challenges the myth that developing a strong principal pipeline is where America should be focused. 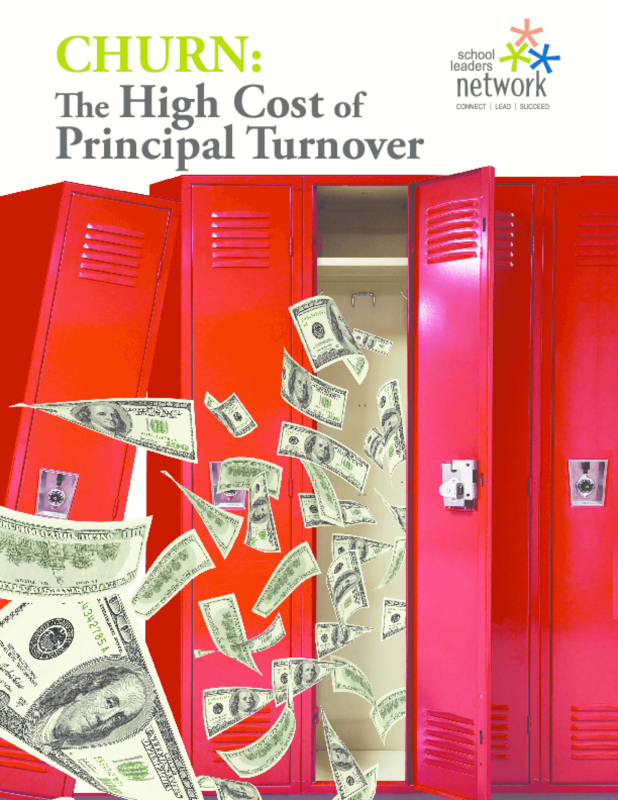 CHURN reveals the multitude of signicant impacts principal turnover has on schools and school systems -- including teachers and students, and highlights the cost implications of a typical system in churn. This report shows that investing in the backend of principal retention will carry front-end pipeline investments much further, proposing specific solutions to reverse the current flood of leadership out the door. Copyright 2014 School Leaders Network.